Daphne Koller and Andrew Ng founded Coursera, a social entrepreneurship company that partners with top universities in the world to offer courses online for anyone to take, for free. Coursera envisions a future where the top universities are educating millions of students. The technology enables the best professors to teach hundreds of thousands of students. Their hope is to give everyone access to the world-class education that has so far been available only to a select few. Coursera wants to empower people with education that will improve their lives, the lives of their families, and the communities they live in. Empower people with education to improve their lives, the lives of their families, and the communities they live in. Improve resumes, advance careers, or just learn more and expand knowledge. Coursera creates accessible education and a global classroom. 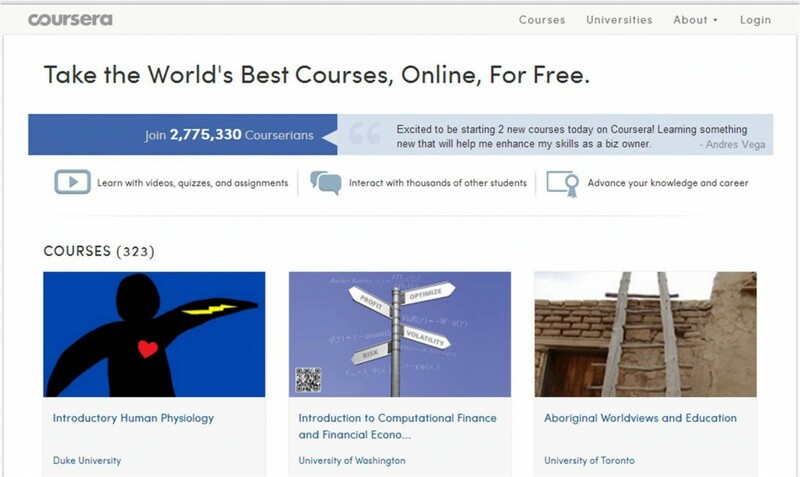 It offers courses in a wide range of topics, spanning the Humanities, Medicine, Biology, Social Sciences, Mathematics, Business, Computer Science, and many others, all for free.